Allie and Rose were adopted together today! It will be so nice for the two friends to have each other for company. 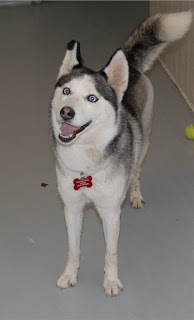 We also took in Sasha, a beautiful Husky today. She already has a home lined up and will only be at the shelter until Thursday. She loves to go for walks and is a very playful dog.